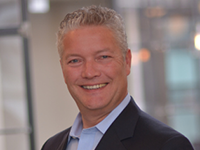 Digital transformation & Digital Strategy blog by Adriaan Bouten, CEO dprism. A few years ago, Gartner defined the Nexus of Forces as the convergence of four technologies that together create a monumental shift in business as we know it. These technologies (Cloud, Mobile, Social, Data & Analytics) have since grown and matured, and we can indeed see a significant shift that is starting to happen. But there is another significant technology driven advance that was not on the radar screen a few years ago: bitcoin. Marc Andreessen has a great analysis in this post: Why Bitcoin Matters. The reasoning is simple. Our current financial systems are antiquated and do not serve the current global consumer and institutional needs. Marc explains how technical advances have allowed for a secure and easy digital cash currency to become available. His business impact analysis is superb. 1. Digital Consumer Cash – with the appropriate advances in security, consumers will be able to make payments in all venues via bitcoin. I predict that Paypal will allow the use of bitcoin and this will be the tipping point for consumers using bitcoin. 2. International Transactions – with currency exchange, international wire transfers, multiple institutions and clearing systems the current way of enabling international transactions is difficult, antiquated and basically horrendous to use. Bitcoin sweeps through these issues and allows two parties to simply deal in their respective local currency. 3. Currency Fluctuation Risk – with bitcoin this risk only exists if one chooses to take it by holding the bitcoins. However, no risk in the currency fluctuation exists if the bitcoins are immediately converted into local currency. Doing this at the transaction level allows any business or individual to conduct business in local currency, and the use of bitcoin only enables the closing of the transaction. 4. Financial Institution Fees – credit card transaction fees, wire fees, and a variety of other fees go by the wayside and are replaced by minimal bitcoin fees. Profit margins can be improved for each transaction. a. What intermediaries are involved between your business and your ultimate customer, and does a bitcoin transaction enable your business to provide this product or service without some of these intermediaries? b. Is your product or service currently bundled for practical business reasons, yet can you increase your market penetration if you can accept transactions in a different way? c. Are there parts of your market, for example international or global markets, that you currently do not serve, but the ease of bitcoin transactions would enable these? d. Any business accepts payment today, what is the cost of processing these payments and can these costs be reduced? There are many of these type of strategy questions to think different about business opportunities and challenges. Cloud computing = do a lot more computing with a lot less money. But it takes a clear direction and a lot of work to get there. Instead of uniquely deploying technology solutions for each product or investment, standards that take advantage of ubiquitous computing need to be rigorously deployed. In my post about The business potential in the ‘nexus’ enabled market I started looking at the business impact of cloud computing. Let’s delve a bit deeper into this, and I’ll also add some of the technology advances and challenges that I see. My definition of cloud computing is the ubiquitous availability of computing resources, operating in an environment that is rapidly available, scalable, secure and reliable. Cloud computing is available internal to companies or external through service providers, and can be a private or public infrastructure. Most companies will either need or have a hybrid solution to address different needs. The cost of scalable computing – Both the cost and the scalability are of great importance. Forget about the technology itself for a second, accept that processing of transactions and other data can happen real-time or near real-time in a different expense paradigm. There will be a combination of reduced infrastructure expense and increased availability of computing, depending on needs. To achieve this, the infrastructure architecture needs to take a practical yet rigorous approach to applying standards so as to fit the need into the cloud computing capabilities. In my experience, at least 80% of computing needs can be accommodated with cloud computing. Computing requirements will gradually become more standardized at the technology level and rely on ubiquitous computing availability. Technologists love to divide into layers, for example the network layers, the infrastructure layer, the application layer and the data layer. A decade or more ago the network layer was difficult and expensive, now it is much more ubiquitous and less expensive. The same will now happen with the infrastructure or computing layer through the use of standards and cloud computing. This will also enhance reliability and disaster recovery capabilities both of which are still significant challenges in the industry. Once standards are applied and in operation, it will be a lot easier to deploy, support and allow for redundant operations for reliability and disaster recovery. For one system I deployed across the world a number of years ago with one in Asia, one in Europe and two in the US it became a nearly impossible and 12+ months task to set up, in coordination with the other locations and each with disaster recovery locations. Today with cloud computing this can be done once, and deployed easily. Real time analytic engine – Analytic engines require significant compute power and rapid data systems, both of which become significantly more available in the cloud paradigm. New predictive analytic technology combined with the compute availability will shift capabilities from historical limited analytic systems that run on a periodic basis to real-time or near real-time systems that have greatly enhanced data association and visualization strengths. The business impact of this is huge – in many current situations analytic solutions are not being applied to solutions as the combination of cost, data availability and timeliness do not allow for this. One-time and ongoing operations – What we see today are the early applications in big data and analytic capabilities, and they mostly focus on the one-time analyses or data mining opportunities. This will evolve into operational capabilities that perform these functions on an ongoing basis. If previous experiences apply, it will take years to get to the point where technology and systems are available to deploy for ongoing operational capabilities. Current Challenges – The core technology of cloud computing is reasonably mature, the most recent advances to operate a cloud within a larger infrastructure have helped easy availability. Current challenges are mostly focused around the administration and hybrid operation of the environments. There are still many administrative and operational steps needed to operate a hybrid cloud in any company environment. The other challenge is the architecture of how applications are ready to utilize the cloud infrastructure. Applications need to be designed or redesigned to take advantage of cloud computing. Advances – The shorter term advances will be a direct result of the current challenges, thus enabling administration of the hybrid cloud in an easy and more effective manner, as well as driving architecture standards. The longer term advance I see relates to the enabling of data as a ubiquitous resource. Although our current and rapidly growing data availability is over 80% unstructured, we are still largely stuck in the structured, relational database technologies. Both unstructured and structured data will become available in the cloud infrastructure such that high volumes, current and comprehensively linked data is easily utilized. Is the CTO a technologist or a business leader? Does technology provide a strategic advantage to your company? Is the technology investment about back office infrastructure and ERP or is it balanced with market facing investments? Using some of the materials in the CIO Edge and some of the Egon Zehnder materials I’ve seen, here is my take on the four competencies of the CTO. The first three of these are what I consider threshold competencies, the fourth I see as the differentiator. I’ll link to some separate posts about each of these, but in the meantime here is a summary of what each of these competencies mean to me. Team Leadership – Engaging, motivating and supporting the team is most important. Managing the skills, qualifications and capabilities is a challenge in the fast changing technology landscape. What makes technology team leadership different then other functions? Two items come to mind: 1) effective collaboration within the team, with other business functions, and with customers and 2) the connection to the success of the business through strategy, delivery and participation. Delivering results – No function is effective if it can not deliver the needed results. There are many parts to this competency ranging from effective ‘portfolio management’ and prioritization of investments (the ‘what’ in delivering results) to project management methodology (I’m a proponent of ‘Agile’ which provides earlier indication of items being on track or not) to financial management and appropriate budget coordination. Also, streamlined technology choices or effective leveraging of standards will reduce complexity and improve time to market. And making sure the needed skills are applied requires the right balance between staff, consultants, contractors and outsourcers. Strategic Orientation – In most businesses the technology capability and strategy should have a significant impact on the business strategy, and this is often not understood. As I discuss in my post about the business potential in the ‘nexus’ enabled market, the business strategy needs to consider technologies that create fundamental shifts in a market, enable new products or services, and data & analytic capabilities that likely will impact a business at its core. Secondarily, there is the technology strategy that needs to be responsive to this, and prioritizes a balance in investments in effective platforms to enable new products and services with being efficient for the existing operation. Influencing and Collaboration – The differentiator. Assuming the other three competencies create the strategic influence and alignment, delivers results with a well motivated and capable team, how does influencing and collaboration come into play? It is all about the success of the business, with the other parts of the business, the suppliers, and other market participants being an integral part to this success. As the CIO edge book analyzes the 7 leadership skills you need to drive results, this is the “Forging winning relationships – up, down, and especially sideways” that creates an environment of collective success. In my post about the Gartner ‘nexus of forces’ my first point is to understand the business potential. Let me delve into this a bit more. Social, mobile, cloud and data are the technology advances that together make up the current trend that will be changing the face of business. Each of these I analyze from different perspectives as to what these advances are and how they can be used. As a nexus, how do we understand the potential to businesses? Imagine having much more comprehensive and linked data around your markets, your customers, the purchasing funnel, the products and services in your markets, and competitive data. Mobile activities and social media provides additional insights into all data, and cloud computing allows you to cost effectively store, process and analyze all. In real time you can be aware of market conditions changes or customer trends through your comprehensive analytic engine. In real time supply chain adjustments can be made, products can be shifted to new geographies, customers can be contacted with service, advertising can be targeted, or marketing offers can be presented at the right time in the purchasing decision. Market data – what data is currently available in your market? Is it reference data that describes the fundamentals in the market? Market activity and transactions? In the financial markets the transactions are captured and compiled into indexes, but many markets do not have such transparency. Do you have access to proprietary data that if combined with other data provides insights into market flows and activities? Purchasing data – Can you capture or acquire data from several points in the purchasing funnel? When does your potential customer start considering a purchase, what are the research activities, how are products and services compared, how are the decisions made? Can we link this data to understand what culminates into a transaction? Customer data – CRM and order to cash systems should contain a lot of a business’ customer data, how about linking this with adjacent customer data from other industries? Product and service data – Is there usage or utilization data for your products and services? How about customer feedback data? Can the data be linked, and can real time feedback result in a customer service situation? Competitive data – Can the basic competitive data about products and services in your market be analyzed at a transactional detail level? By geography, customer or market segment? Is social media data available real time for new product introductions? Internal company data – often a wealth of data is available within your company, but it is not linked or utilized in real time analytic situations. For example, manufacturing companies often have great supply chain and manufacturing process data, do you have process data around the sales process, the order to cash process, or the customer service process. And if this is available, are you linking this data to understand the entire value chain at both the process and transaction level? Geo location – both individual data and aggregate information is very valuable. Real time capability to interact with an individual that is arriving, resident, or leaving a location provides many opportunities to enhance the experience of a customer or provide additional value. Apps – so there are some nifty apps out there, but I believe this is still in its infancy. Much more comprehensive data available through APIs will provide real-time, location dependent apps that connect to other adjacent devices (cars, fitness monitors, media etc.) and create capabilities that we haven’t experienced yet. Camera – The most popular use of snapshots has started to be complemented by use of location aware specific data. Visual recognition capabilities (i.e. what is in the picture) will become increasingly available and meta data produced in real time will increase the value of the camera. New devices – most consider tablets and smartphones when discussing mobile, but a slew of new smart devices are starting to come on the market. Consider the COIN smart credit card, the TILE location monitor, AIRO fitness monitor with spectrometer capabilities, smart home devices and all these devices will be able to interact on a data level through apps. Customer experience – Social media is rich with current customer experience and this feedback can be used to intercept situations or to enhance customer service experience. Product feedback – comments and thoughts about products are throughout social media, this data will continue to become more available. The value of passive feedback is great, and will impact product development, sales and customer service. Customer interaction – careful so as to not inappropriately interrupt or hijack the customer’s social activities, most brands can and should interact with customers and potential customers in social media. Awareness – are your potential customers aware of your brand, you products or services? Beyond context aware advertising, which itself is making rapid advances, and interaction in social media, what other avenues are available to you to increase awareness? The cost of scalable computing – Both the cost and the scalability are of great importance. Forget about the technology itself for a second, accept that processing of transactions and other data can happen real-time or near real-time in a different expense paradigm. There will be a combination of reduced infrastructure expense and increased availability of computing, depending on needs. Computing requirements will gradually become more standardized at the technology level and rely on ubiquitous computing availability. This will also enhance reliability and disaster recovery capabilities both of which are still significant challenges in the industry. Real time analytic engine – Analytic engines require significant compute power and rapid data systems, both of which become significantly more available in the cloud paradigm. New predictive analytic technology combined with the compute availability will shift capabilities from historical limited analytic systems that run on a daily or weekly basis to real-time or near real-time systems that have greatly enhanced data association and visualization strengths. One-time and ongoing operations – What we see today are the early applications in big data and analytic capabilities, and they mostly focus on the one-time analysis or data mining opportunity. This will evolve into operational capabilities that perform these functions on an ongoing basis. We are at the start of an evolution impacting all business at the core. Knowledge about the customer will grow rapidly to allow a business to target, engage and develop new products and services. The Gartner ‘Nexus of Forces’ describes the convergence and mutual reinforcement of four interdependent trends: social interaction, mobility, cloud, and information. The forces combine to empower individuals as they interact with each other and their information through well-designed ubiquitous technology. How does this impact your business? What business leverage is possible from this? What is the necessary technology strategy to support your business? What is the right business strategy to leverage these technology advances? First of all, the business potential in the ‘nexus’ enabled market needs to be understood and a strategic plan addressing market potential, business operations and technology direction needs to be developed. Second, in order to realize this potential, a comprehensive execution plan addressing the technology implementations, market interaction and business operations needs to be formulated. Third, a culture of execution is essential to get it done. Fourth, motivating and engaging the teams in each of the disciplines involved in making it happen is needed and demands for leadership qualities throughout. Having read or perused many business and technology books over the years, here are some of my favorites. Ben Horowitz – cofounder and Partner (along with Marc Andreessen) of the venture capital firm Andreessen Horowitz based in Menlo Park. Seth Godin has written 12 best selling books. He is a business expert and uses his blog to post quick articles about the business world, social media, changes in the world, etc. His articles are generally short but are very thought provoking and leave you thinking about larger issues. Isaac Sacolick – covers topics for Technologists from CIOs to Developers – agile development, agile portfolio management, leadership, business intelligence, big data, startups, social networking, SaaS, content management, media, enterprise 2.0 and business transformation.